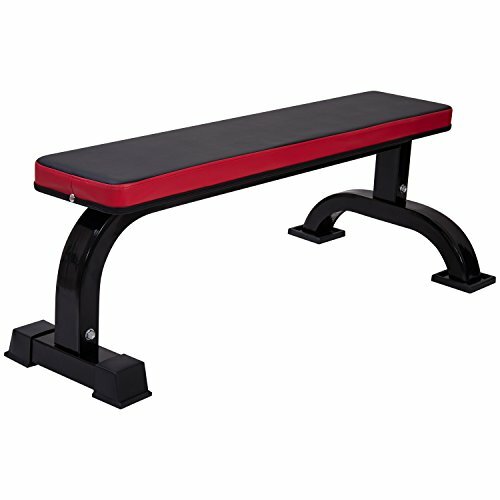 * Perfect for amateur trainers and long-time fitness enthusiasts, the Ollieroo Flat Utility Weight Bench allows you to perform a full-body workout so you can build and tone your physique however you want. * Created to suit your active lifestyle, this workout gear is the perfect addition to your home gym. Esides, the powder coated finish for resistance of heavy wear and tear and can support a maximum weight of 300 pounds. Max Capacity of 1100 Lbs -- The Suggested weight limit of this flat bench is 600lbs. Besides, it has passed ASTM testing to 1100 lbs. Noted: Please warm up fully before training to avoid physical injury.